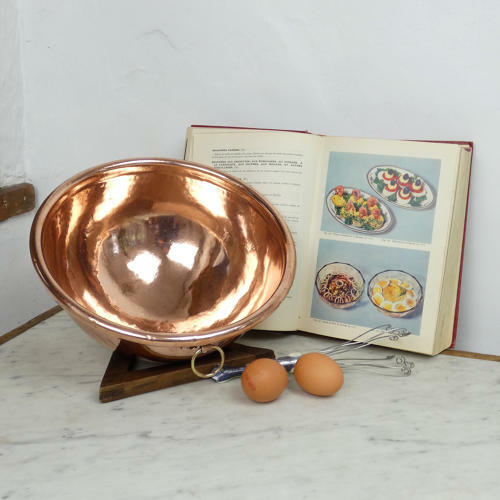 A good quality, small, French copper, round bottomed egg bowl. This bowl is unmarked but it dates from c.1870. It has quite a heavy brass loop handle to one side, which is attached by an attractive copper fitting. The bowl is made from a very heavy gauge of copper and it has a wired rim. It is in excellent condition.